Happy Patriots Day! For those of you in season long leagues, do not forget the action begins at 11:05am with the Baltimore Orioles in Boston finishing up their series against the Red Sox and of course this is also the day for the Boston Marathon and don’t forget to file your tax return. Sign up for ANY one month package (including those with the FantasyCruncher add-on) with promo code MLBSTACKS and receive 50% off the first month. Premium subscribers click here for updated player projections from Alex “Awesemo” Baker himself. RHP Heath Fillmyer, who had an interesting journey on his way to becoming a Major League starter beginning as a shortstop in community college and getting drafted in the late rounds of the draft as a pitcher by the Colorado Rockies, he stayed in school and when eligible for the next draft he was chosen in the fifth round by the Oakland Athletics. He has spent parts of six seasons in the minor leagues, but is ensconced in the Kansas City rotation. Command is an issue for him as he has a 9.3 BB% and just a 16.6 K% over his last 350 batters faced. While he has been better against opposite-handed hitters, it is still much too small of a sample size to make any determinations on that for now. We can look to switch hitting Yoan Moncada who is dramatically better against right-handed pitching and of course Jose Abreu and Yonder Alonso have plenty of power upside and rookie Eloy Jimenez is a fantastic rookie who has tremendous upside potential and fingers-crossed that Welington Castillo gets a bump in the order. Your one-off homerun / random homerun threat of the day is of course Daniel Palka who will likely be at the bottom of the order, but the does have a .351 wOBA and a .278 ISO in his last 366 lefty/righty plate appearances and homeruns from the back of the lineup, count just the same as those from the heart of the order. On the late slate we have some solid pitchers, but when it comes to RHP Luis Castillo we’re looking at reverse split success against fellow righties with a .247 wOBA, .121 ISO with a 24.8 K% and a 5.8 BB% over the last 395 batters faced and those are ELITE numbers. Now for the other shoe to drop. Against his last 386 lefties faced Castillo has allowed a .354 wOBA, .221 ISO, with an 8.8 BB% though a still excellent 23.8 K%. 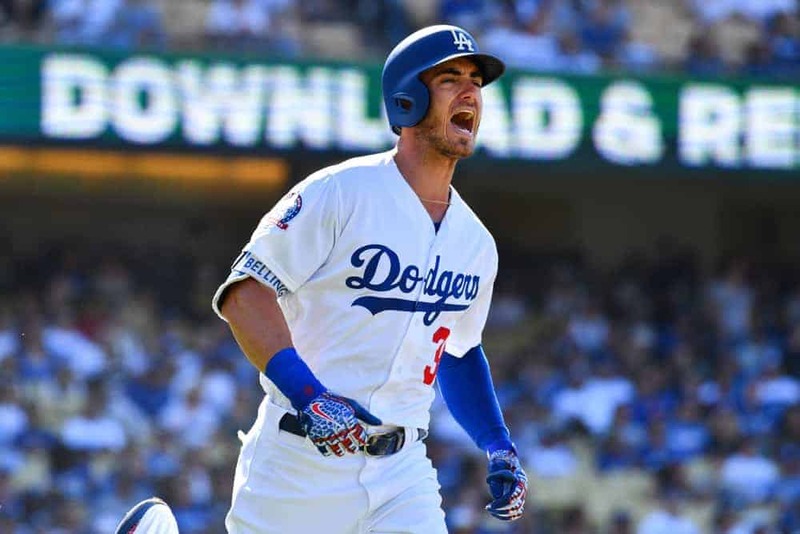 The Dodgers have the luxury of rolling out some phenomenal left-handed power hitters in Joc Pederson (475 PAs, .383 wOBA, .303 ISO), Cory Seager (117 PAs, .387 wOBA, .163 ISO), Cody Bellinger (511 PAs, .395 wOBA, .271 ISO) and Max Muncy (448 PAs, .409 wOBA, .307 ISO) and there is a decent chance we will see Alex Verdugo bat sixth and while he does not have a long track record in The Show against right-handed pitchers, he is available at a reasonable price on most sites.